I’ve mentioned before that I really love Kickstarter. So far I’ve backed about 20 projects, from board games to coffee joulies to gadgets to video games. I haven’t done as many art or music projects, but I’m sure it won’t be long before I find something there as well. 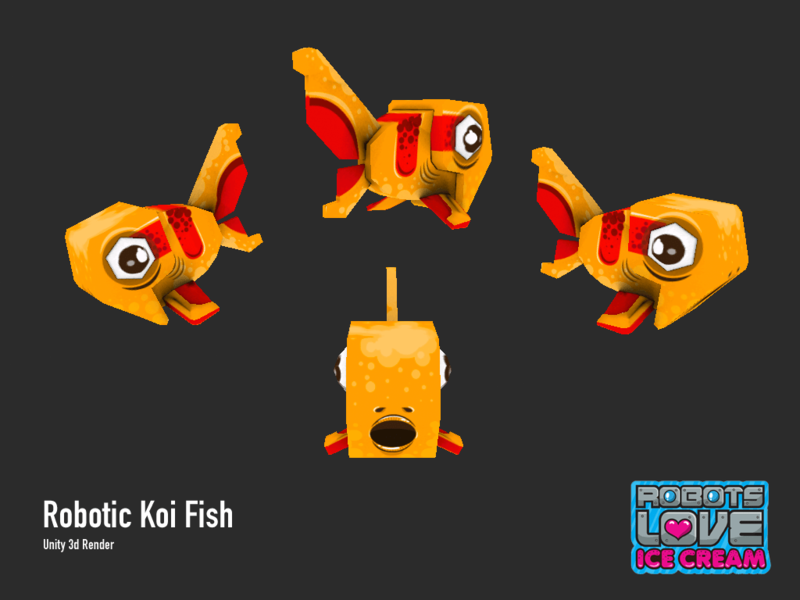 Recently I came across a campaign for Robots Love Ice Cream, an iPad app from Addo Games. 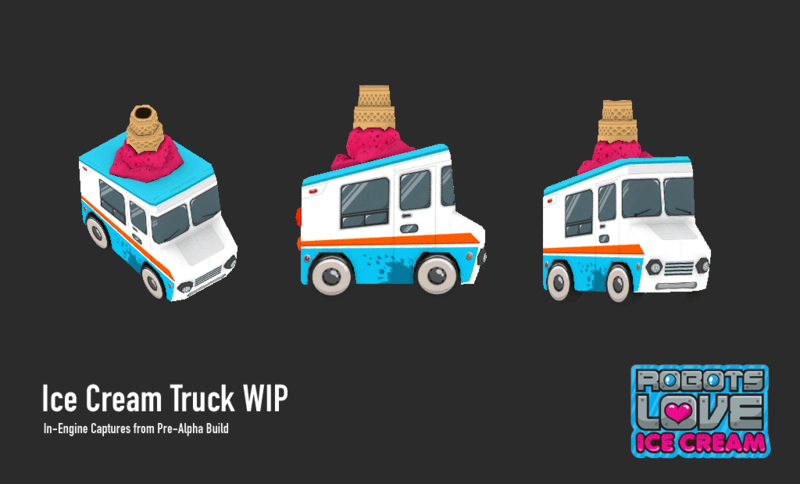 It’s a silly idea: you drive an ice cream truck, protecting your customers from giant robots by delivering weapons in the form of frozen treats. I was charmed by the concept art and the promotional video by the husband-and-wife team of Burton and Becca Posey, and pledged my support right away. But my contribution isn’t quite enough to fund the project, so that’s where the rest of you come in. Robots Love Ice Cream has less than two weeks left to hit their goal. Check out some of the sample artwork here or on the Kickstarter page, and consider chipping in a few bucks to help Addo Games turn the concept into a reality. Becca Posey: Burton has spent the past 5+ years working for Atlanta agencies producing sponsored game and interactive experiences, but it’s always been his dream to produce original games. He’s been a gamer since the age of 5, when his uncle Jim gave him his first Atari set. For examples of Burton’s other work, you can check out his portfolio (in particular, his AR business card that was featured on Mashable) and this PBS Kids game on which he worked as a flash developer. Robots Love Ice Cream is the first title from Addo Games, and it’s also Burton’s first original commercial title. Addo is a Latin word that, loosely translated, means ‘I inspire’ or ‘I bring a gift.’ It communicates what we hope our games will accomplish. We hope our players will feel like they’ve received much more value than whatever they’ve spent to purchase our games, and that every time they experience our games, they’ll encounter something new to engage and delight them. We feel like we’ve been given a gift to be able to do this work, and we want to pass that feeling on to the players. 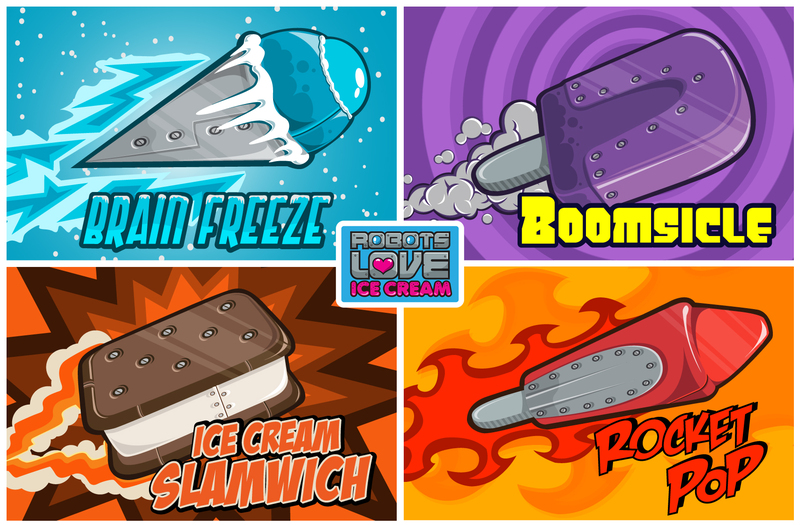 Robots Love Ice Cream will be a vibrant, fast-paced, exuberant game for the iPad that will be approachable for all ages and all levels of gaming experience. It’ll be part homage to the great class shoot-’em-up games like Missile Command or UN Squadron, but the game mechanic and visual style will be totally fresh, thanks to the Unity3D platform running on the iPad. We really just want to make a very genuine, fun game experience that anyone can enjoy playing for hours and that players will want to share with their friends and family, because it’s so enjoyable and it’s so darn cute. BP: No kids right now — we’ve been married less than 3 years and we have a lot of dreams we’d like to see further down the road. But if you’ve spent much time with Burton, you’ll see that he’s very imaginative — basically a big kid at heart. He’s all about enjoyment, and he comes up with some of the wackiest things. 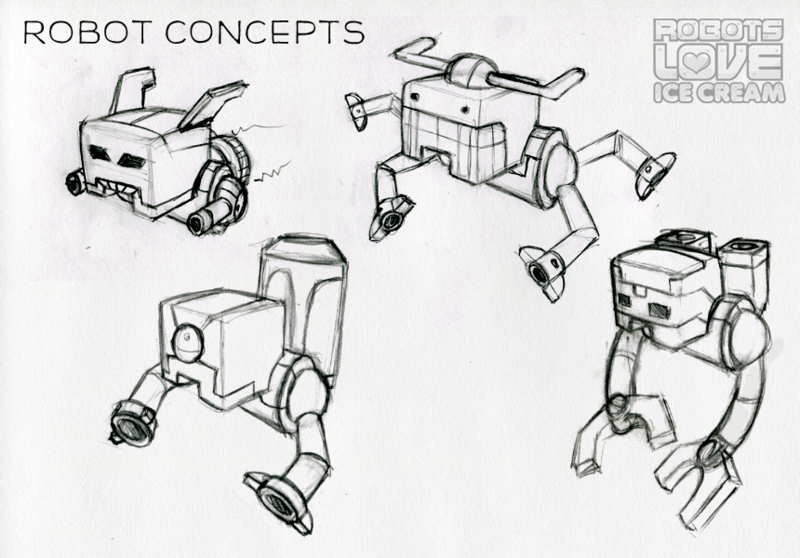 Example: his idea for a ‘clown ice’ treat weapon in Robots Love ice Cream that puts a clown wig on robot attackers. If you see something in our game that’s nutty but makes you laugh out loud, you’ll know you’re seeing Burton’s influence. GD: What’s it like working with your spouse on a project like this? BP: It’s an adventure. I use that word a lot because I think it communicates the combination of danger and exhilaration that defines starting a new independent venture — especially with your spouse as your partner. We’re very close friends, and I’d managed Burton’s business affairs before we started Addo Games, so we began this project on a pretty solid foundation. 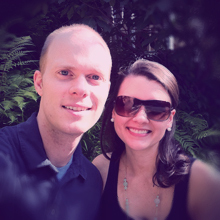 We saved for a long time to be in a place where we could try to fulfill this dream. And it’s been amazing. The world has really opened up to embrace what we’re doing with Robots Love Ice Cream, and it feels so great to be going through this experience as a husband-and-wife team. Although we have different personalities and different strengths, we’re both ambitious, and we’re both dreamers, so we’re fortunate to have each other to rely on to keep the project going. From a professional standpoint, it’s absolutely a dream come true to go to work every day with someone who believes in your talent and expects great things from you. I think that’s also why our creative team has so enthusiastically dived into this project — we admire their talent and we want them to have the freedom to create whatever amazing and beautiful things they can think of to go into Robots Love Ice Cream. I think you can see their affection for this project in their work that we’ve showcased so far — particularly the ‘Victory Can Be Sweet’ pseudo-propaganda rewards poster that they created for our Kickstarter project. They knocked that entire poster out, from concepts to final execution, in their spare time over less than 48 hours. Less than 24 hours later, the poster was featured on NOTCOT, which may be the most popular curated design blog in the world. Imagine what a team like that will do once we get Robots Love Ice Cream fully funded on Kickstarter and we can really set them loose. Gameplay prototype (still in progress).